Complex Highway Interchange In Shanghai, China, At Night. 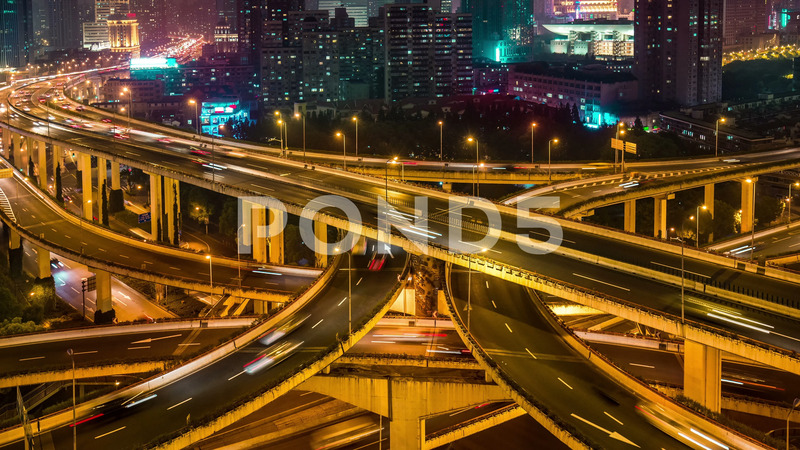 Description: Complex highway interchange in Shanghai, China, at night. Scenic aerial view of big illuminated interchange with fast moving cars. 4K Time lapse.